A bloody massacre at a Mexican heroin refinery; a Miami-bound freight ship hijacked for its cargo of illegal narcotics; the ruthless assassination of a Kosovar drug lord – a war has erupted between two drugs superpowers. As DEA Agent Diane Mesi investigates she becomes convinced that the conflict is being orchestrated by an unknown third party. But she is marginalised by her colleagues and her judgement is challenged at every turn. Only if she can expose the truth will she be able to stop the violence and save her career. Michael Larsen is an ex-soldier and hired mercenary who has been contracted to fuel the conflict at every opportunity until it destroys both sides. As he battles his own demons, he hopes that by directing the violence he will attain some measure of redemption. To buy the printed edition click here. 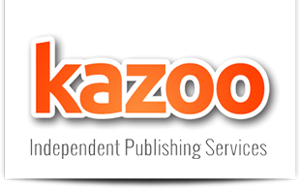 To buy the Kindle edition click here. 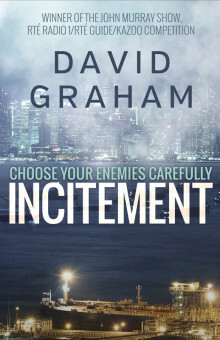 To buy the ePub edition Incitement - David Graham" target="_blank" >click here. David Graham has a background in telecommuncations and IT. In addition to working throughout Europe, particularly in Scandinavia, he has travelled extensively. He has a keen interest in history, economics and current affairs. David lives with his wife and two young sons in Dublin.